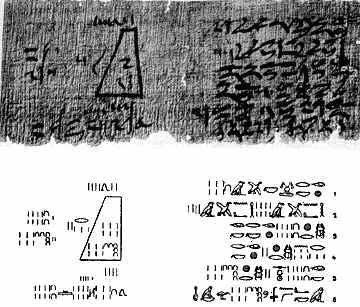 What we know about ancient Egyptian mathematics comes primarily from two papyri, the first one written around 1850 BC. This is called the Moscow papyrus, because it now belongs to Moscow’s Pushkin Museum of Fine Arts. The scroll contains 25 problems, mostly practical examples of various calculations. Problem 14, which finds the volume of a frustrum (a pyramid with its top cut off), is often cited by mathematicians as the most impressive Egyptian pyramid of all. The Rhind papyrus—named for Egyptologist A. Henry Rhind, who found it—was written about 1650 BC. The Rhind papyrus is about 18 feet long by 13 inches high and contains 85 problems, including one printed on this week’s download. It is now part of The British Museum‘s collection (along with the Rosetta Stone). The entrance into the knowledge of all existing things and all obscure secrets…It is the scribe Ahmose who copies this writing. Ahmose (also translated Ahmes) may have written the Rhind papyrus as a homework assignment for scribe school. Or maybe he was a teacher and wrote it for his students. He included a huge table of fractions along with a variety of story problems, geometry, algebra, and accounting. 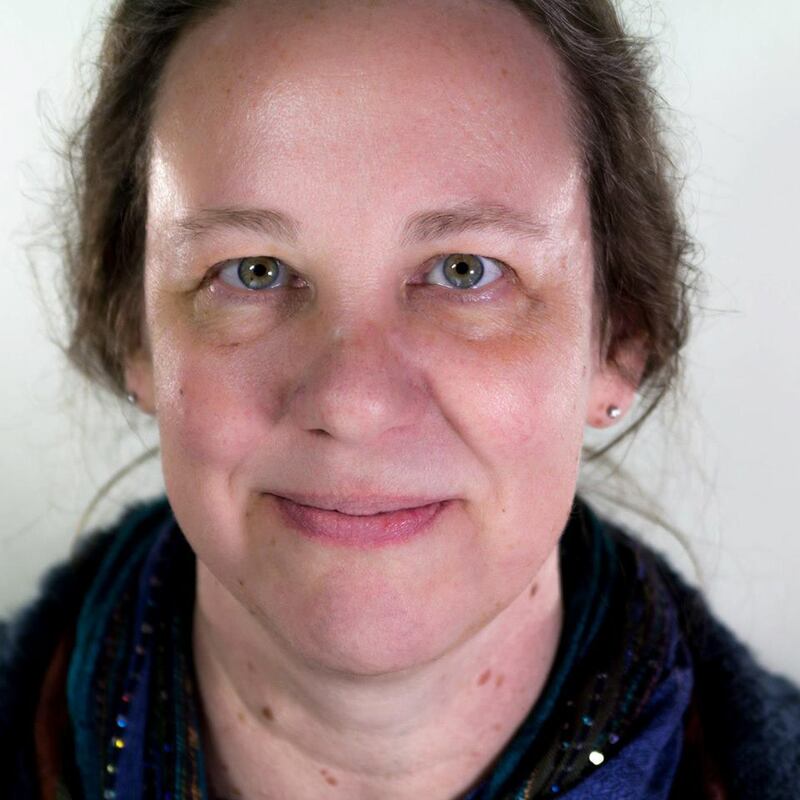 Most of the calculations were written as examples dealing with a specific situation—for instance, how should 700 loaves of bread be cut in order to share them equally among 400 workers? Students who understood the example could follow the same method to work other, similar problems. 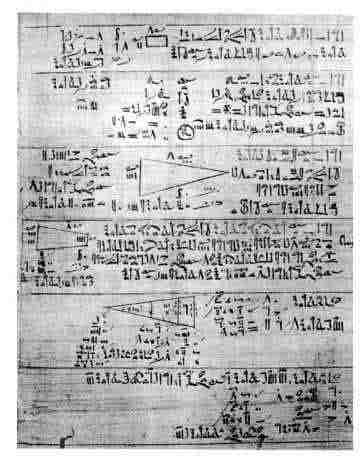 This week’s page from my old newsletter contains a math “magic trick” from the Rhind papyrus and three Egyptian calculations to translate and solve. As a bonus, I have thrown in one of my Math Club students’ favorite games. Enjoy! Not essential, but sets the stage for the later story. How to translate hieroglyphic numbers. How to multiply the Egyptian way.